First, let’s clarify the difference between adapters and transformers/converters. 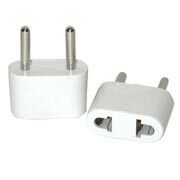 Adapters affect the plug; they change the standard American flat posts to Israeli/European round posts. At the right, you can see the standard 2-pin plug used in Israel. Transformers or converters affect the electricity; in this case, they reduce Israel’s 220v down to 110v. Transformers or converters do not affect the hz. If your device does not operate on 220v, you will need a converter. The size depends on the type of device you want to operate. A 50-watt converter is usually sufficient for basic electronic devices like phones and computers. Heating devices (e.g. curling irons and blow dryers) usually require a more robust converter of at least 1800 watts. Many Israeli hotels have hair dryers and 110 electric outlets for shavers in the bathrooms, which may be a better option than trying to get a North American hair dryer to work properly. 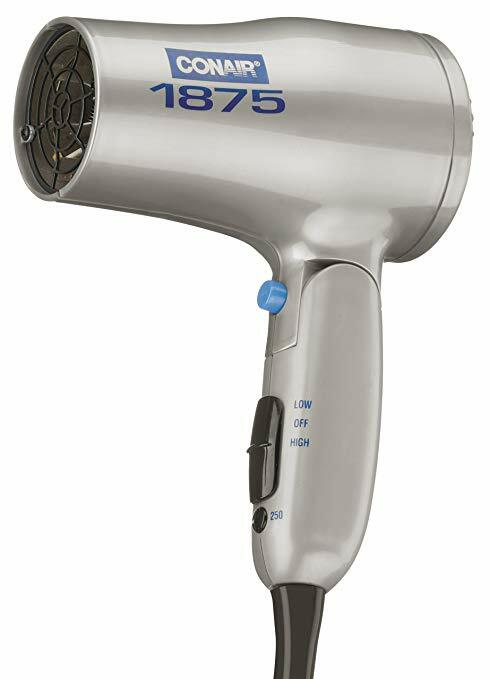 Many travelers end up burning up their American hair dryers when trying to use them in Israel. The hair dryer at the right and/or this flat iron are dual voltage 110-240v, work in Israel (with a plug adapter), and have received good customer reviews. They cost about $20 each. REMINDER: Your final payment must be received by March 15, 2019. Please plan accordingly. If you need to know your balance please contact me at craig@discipleshiptravel.com.